Yumeko has spent her whole life in the Silent Winds temple, isolated from the rest of the world and using her Kitsune (half-human, half-fox) nature to cause mischief. All that time she was unaware of the treasure protected by the monks in the temple. Not gold or riches, but one piece of a scroll that can summon the great Kami Dragon. When the temple is attacked, Yumeko must flee with the scroll in order to keep it safe. But many people are looking for the famed scroll with the power to summon the Kami Dragon, including Kage Tatsumi, a powerful samurai of the Shadow Clan. When the two are forced together by fate, Yumeko sees Kage Tatsumi as her only chance at keeping the scroll safe. 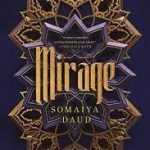 This book beautifully blends Japanese mythology with a unique fantasy world. It has a lovable cast of characters including Yumeko, a trickster Kitsune who is both kind and a little naive. 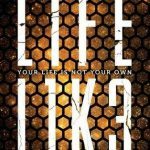 The story is compelling and unique and will appeal to fantasy and mythology fans alike. 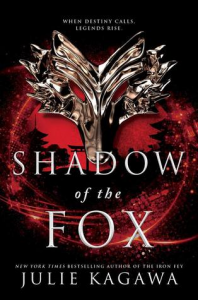 Fans of Renée Ahdieh’s Flame in the Mist and Erin Hunter’s Warrior series will feel right at home with Shadow of the Fox. Descendants of a magical family, twins, Georgina, still without her magic, and Mary, who can float, help their mother keep up the Inn. Business booms during the summer when the “Birdheads” come to watch the rare bird, Annabella, in her natural environment. When the bird doesn’t show, the island erupts into chaos. Soon to be eighteen, Georgina and Mary are set to go off to college in the fall. Neither of them has ever left the island because those that live on the island By-the-Sea rarely do. The relationship between the sisters is tumultuous at times, but their bond is truly unbreakable. Georgie’s fear of never getting her powers escalates as her birthday draws nearer. When two of the new “Birdheads” end up being an attractive pair of siblings, Mary is head over heels for the brother Harrison and Georgie finds herself very intrigued by Harrison’s sister, Prue. 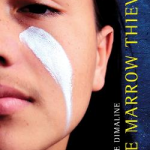 Teens will relate to the fear of leaving the only life they have ever known and will find strength in the sibling and familial bonds in this story. This elegant piece of magical realism highlights finding inner strength, being seen as “other” and seeking truth even in the darkest of times. Trigger Warnings: Assault and loss. Fans of The Raven Boys will enjoy the family dynamic reminiscent of Blue and her magical family. Readers who enjoyed The Strange and Beautiful Sorrows of Ava Lavender will love the unique magical realism surrounding a small-town famous for its mythical bird. Two sisters: one dead, one missing. 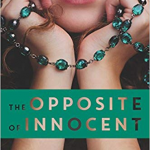 Months after the investigation into her 13-year-old sister’s murder goes cold, fierce older sister Sadie takes off from their trailer park home in Colorado to hunt down Mattie’s murderer and enact her own justice. Some time after, Sadie’s car is found abandoned on the other side of the state, no trace of her to be found. Their story forms the basis of a true-crime podcast called The Girls. 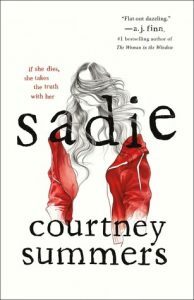 This gripping story unfolds in alternating chapters: one taut thread follows 19-year-old Sadie as she hunts down clues that bring her closer to finding Mattie’s killer, while the other follows Sadie’s trail via the transcripts of a serialized true-crime podcast, which attempts to uncover what happened to her after she herself went missing. The podcast chapters help lighten the intensity of Sadie’s tense narrative and bring in valuable perspectives from the people whose lives Sadie touched on her journey, fleshing out her experiences and adding dimension to her story. The subject matter, dealing with issues of poverty, neglect, and sexual abuse, is grim, and Summers’ unsettling narrative does not flinch away from its bleak realities; this mature read is not for the faint of heart. 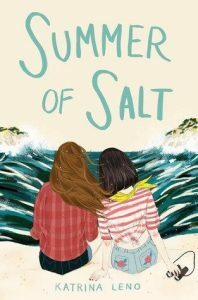 Sadie is a tough yet vulnerable heroine whose single-minded pursuit of justice for her sister is fueled by heartbreak and a deep, simmering rage. Her powerful story will appeal to fans of true-crime and Serial-like podcasts, as well as fans of Mindy McGuiness’s The Female of the Species. Sawkill Rock appears idyllic, but looks deceive. 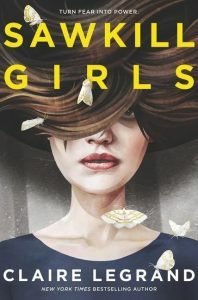 For generations, girls disappear there without a trace, but no one seems to connect them to the local urban legend warning of The Collector, a monster lurking in the woods. However, Zoey desperately searches for the last victim, her best friend, and clues she thinks points to this monster and the beautiful Mortimer women. Marion and her shattered family move to Sawkill Rock for a fresh start after the sudden death of her father. Steady and dependable Marion holds her beautiful sister, Charlotte, and her numb mother together, so she is silently relieved when the beautiful Val befriends Charlotte. However, Val harbors a family secret that eventually draws Marion, along with Zoey, into the mysterious disappearances and an ancient battle between good and evil. Lush and atmospheric language bring forbidding Sawkill Rock to life for a creepy, gothic horror story. 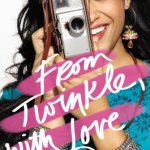 Told in multiple points of view, the girls’ well-developed complex characters offer a rich LGBTQIA diversity. The Rock (the island itself) is also given a point of view which adds an intriguing dimension. The compelling slowly revealed mystery and horror, with some gruesome scenes, enhance the chill factor. Legrand weaves a strong feminist tone not only into character development but also the theme celebrating females empowering and supporting one another. Hand this to your horror fans, especially those clamoring for ones with LGBTQIA representation, and those who enjoyed Anna Dressed in Blood by Kendare Blake and The Bargaining by Carly Anne West. It will also appeal to fans of the TV show Stranger Things and the movie Jennifer’s Body.